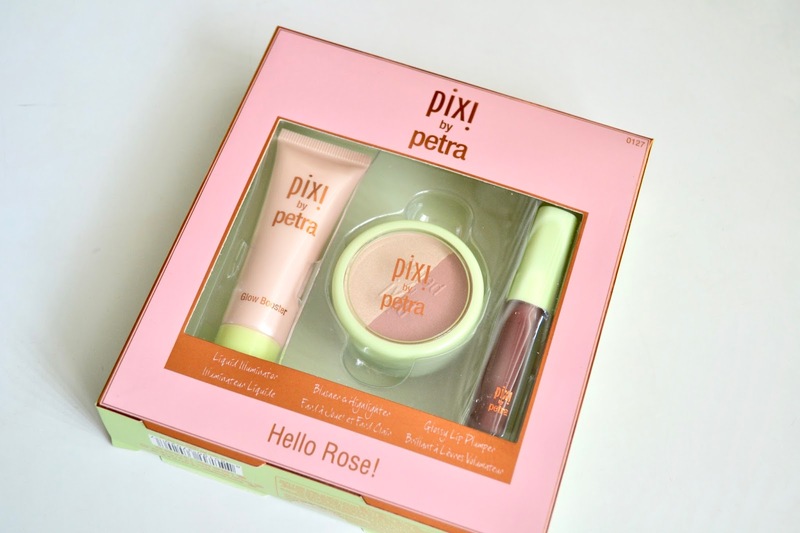 Today I have a look at one of the new spring sets from Pixi Beauty called Hello Rose!. 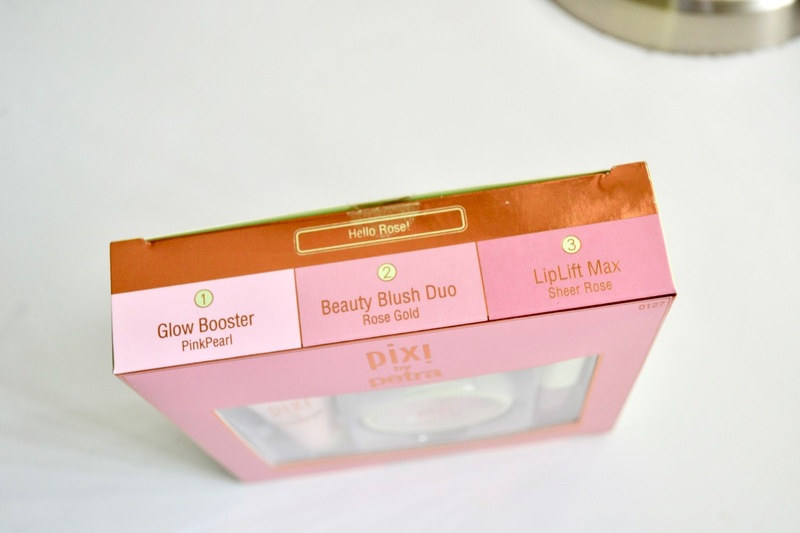 It comes with a Glow Booster, a Blush Duo and a LipLift Max. This is a great set that is perfect for getting you ready for spring. All of the products are a great size so that you can get the most use out of all of them. You can bring glow to your skin and give your lips the right amount of plumpness. 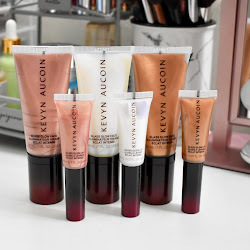 Find out more on these products below and see swatches. 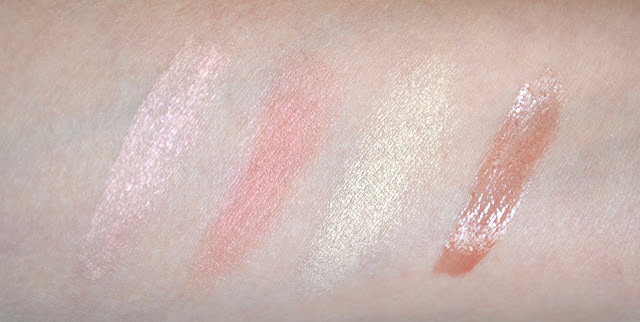 Swatches left to right: Glow Booster, Blush Duo and LipLift Max. 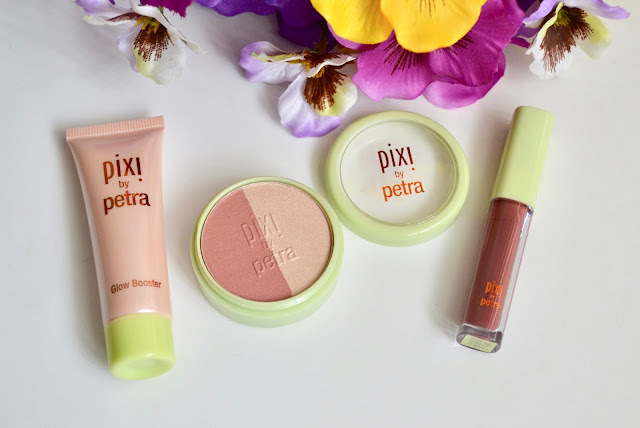 I love the products in this set and how they are going to be a staple for me for spring and summer. The Glow Booster in PinkPearl is an interesting shade but looks amazing on the skin once blended out. It gives a nice glow without the shimmer being too glittery. The Beauty Blush Duo in Rose Gold has two shades that work really well with my light/medium skin tone. You can build them up on the skin with ease or use them lightly for a natural look. 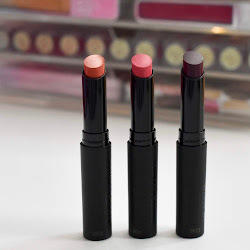 The LipLift Max in Sheer Rose has become one of my favorite lip products. It has a great cooling sensation which I love and the color is perfect. It's a gloss so there is a lot of shine and it has a minty flavor to it. Overall this is a good set that features some amazing products from Pixi Beauty. In case you are wondering, there is this set called Hello Rose! and another set called Hello Glow!. Both of which are new for spring. Pixi Beauty Hello Rose! 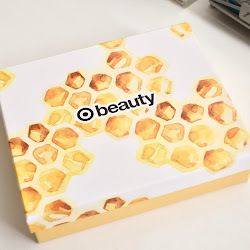 Beauty Kit retails for $22 and can be found on the Pixi website or at Target stores and online. Product was sent for review consideration. All opinions are honest and my own. Giveaway: Win an e.l.f. Cosmetics Prize Pack!